Working gloves are the most usual and most readily used protective gear. This is little wonder, since hands, and the palms in particular, are the part of a worker’s body most exposed to harmful factors. With this in mind, gloves shield not only the palms from soiling from both harmful and unharmful substances alike, but also make objects easier to handle. As all statistics show, hands are the part of body hurt most often in minor incidents. There are various underlying causes of such situations, including working without protective gear for hands, using the wrong type of protection, or simply poor work organisation. 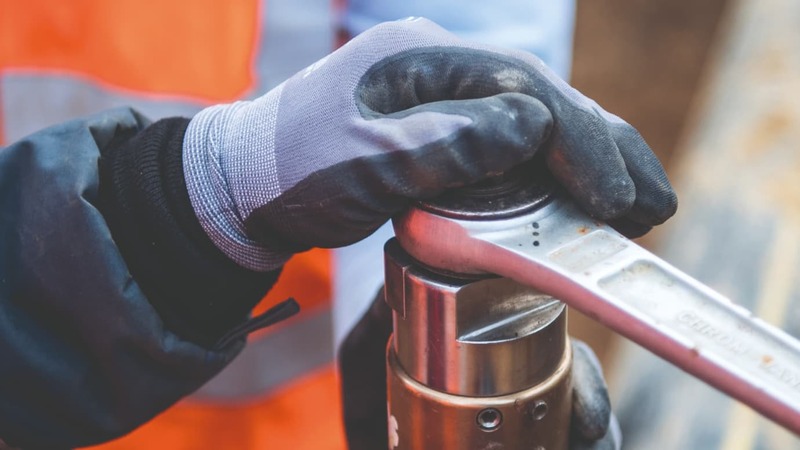 This article focuses on hand protection, describing varieties of safety gear available and their properties and suitability for different kinds of works. Safety gloves should be used in every situation where there is a risk of hands being damaged and should be selected in accordance with the level of exposure to risk and the nature of this risk. Sometimes safety gloves protect worker’s hands from more than one potentially damaging factor. There are gloves protecting from mechanical, chemical and biological risk, humidity, low and high temperature, dielectric gloves, gloves for potentially explosive areas, anti-vibration gloves, welding gloves, anti-static, and cryogenic gloves. Other factors, such as type of work, for instance requiring precision and a good grip, should be considered, and the right safety gloves chosen: five, four, three or one fingered or fingerless gloves. Protective creams can also be considered as a means of hand protection and so can be used as a supplementary means of skin hygiene, taking into account, however, that they do not constitute an efficient shield against skin inflammation or irritation caused by oils or other chemicals. Creams cannot be used as replacement of gloves, but as their supplement. To improve their efficiency, creams should be applied to clean hands before putting on the gloves. Safety gloves should be equipped with the CE sign as well as a declaration of conformity. CE sign, clear, legible and tarnish resistant, should be placed on every piece. In particular circumstances, where properties of personal protective equipment do not allow for that, the CE sign can be put on packaging. Basic rules for using personal protective equipment in the work environment are described in 89/656/EWG directive, repealed with effect from April 21, 2018, by Regulation (EU) 2016/425. All safety gloves need to comply with European EN 420 norm, which sets general rules for gloves’ construction, design, testing, as well as their water resistance, infallibility and userfriendliness of used materials, along with efficiency of manufacturer provided signage and information. The norm also describes finger the flexibility checking method, graded from one to five. PPE manufacturer’s information and user manual should be stored and their guidelines strictly followed, not only with regard to safety gloves usage, but also cleaning, storage and maintenance. Accident and near-miss reports are also a valuable source of information on PPE’s possible deficiencies and defects. The employer is responsible for providing PPE that is suitable for use, in good condition, well maintained and undamaged. Appropriate storage, checks, and cleaning are crucial for this. Choosing safety gloves with CE signage assures conformity of their design and manufacturing with essential health and safety regulations (Directive 89/686/EWG). Properties of safety gloves chosen need to comply with the type and level of risk in place. One element of this is that applying the chosen PPE should not result in higher risk exposure. Safety glove choice needs to consider workers’ health conditions, ergonomics, all the risks that might arise from protective equipment application, its impact on the worker’s body, comfort of application, allergy causing potential, a worker’s physical capability, as well as possible medical restrictions for using PPE by the worker. PPE applied should not provide protection higher than necessary, as this could result in unnecessary physical or emotional distress. According to the level of risk from which they protect, safety gloves can be divided into three groups: minor, medium and high risk exposure. Not recommended for industrial usage, mainly regular working gloves, household and gardening gloves. Safety gloves within this category protect from superficial epidermis damage, temperatures not exceeding 50°C and mild chemical substances such as cleaning products, and do not require any particular attestation. Gloves used in cases of risk which is not low and not high, mainly gloves protecting from mechanical damage. Protection from irreversible damage and lethal dangers, e.g. from the side of chemical substances, high and low temperatures, radiation and electrocution. Depending on the kind of risk in place a variety of safety gear for hands can be applied. The most obvious choice are gloves, and these can be made of different sorts of materials. There are disposable gloves, made of polyethylene, nitrile, latex or vinyl, but also latex free gloves, rubber gloves and industrial gloves made of cotton, leather, nylon, water-resistant gloves etc. When choosing the right safety gloves, special attention should be paid to its protective parameters. These are described by pictograms placed on the outer or inner side of the gloves. This is particularly important in case of dangers that can cause irreversible damage, e.g. external mechanical force causing cut, tear or puncture. Aggressive chemicals can also cause lasting damage. High temperatures, direct operation of fire, melted metal splashes, often met during welding and similar works are different kinds of dangers. Risks like vibration, low temperature, radioactive contamination, and electrocution require other types of protection. There are also different kinds of requirements for protection from electrostatic discharge. The right choice of gloves for use in contact with food requires consideration of the impact that plant and animal fats can have on materials from which gloves are made. The following sections detail the various types of protective gloves and when they are suitable. Very thin and comfortable, disposable gloves allow for high movement precision – as high as with bare hands. Used for handling delicate objects and in works requiring high accuracy, they are easy to put on and can be talcum powdered or chlorinated. Talcum powdered gloves are mostly used in hospitals and laboratories, while chlorinated gloves are predominantely used in contact with food. They protect both the hands and the handled object. Waterproof gloves protect the hands from water, detergents and food related substances. They are also usually used in works involving corrosive or aggressive liquids. They should closely fit the skin. Once put on, waterproof gloves mostly stay on the hands for a longer time. In some cases, it may be useful to apply waterproof gloves with textured grip that enables better and more stable hold of handled objects. It may be helpful in carrying heavy objects, particularly in low temperatures on construction sites or in cold rooms. Special attention should be paid to the lining of waterproof gloves that are used for longer time periods (eight hours or more). The lining preferably should be textile, with high water absorption parameters to balance the effect of heavy sweating, natural while working for long periods with the hands covered with waterproof material. Gloves intended for long usage need not to be made of too thick a material, as such a material is much less flexible, which in the longer run might be burdensome for workers’ hands and limit workers’ fingers flexibility. As it often happens, while handling chemically aggressive products, workers and their hands are exposed to damage by chemicals. Safety gloves for such works should be chosen with close relation to the type of chemicals involved in those particular works, but also the duration of exposure and how much hands’ flexibility will be necessary for carrying out the work. Chemical resistant gloves are manufactured from polymer based materials, which can behave very differently in case of even very closely related chemical substances. It is crucial, therefore, to know precisely what substances will be involved in the works at hand. Precision handling safety gloves allow for high precision of handling while providing protection from possible mechanical damage to hands. They are designed from long lasting materials, with high levels of mechanical resistance, yet still they allow the wearer to handle objects with the necessary accuracy. They can be used under severe conditions and offer long lasting protection during such precision works as cutting of metals or sheet metal forming. Cut resistant safety gloves protect from possible mechanical damage and assure comfort during various activities, particularly those where sharp tools and sharp materials are present. Good cut resistant safety gloves offer functional cut resistance to the palm and fingers, without sacrificing fit, feel and dexterity. To choose the right gloves for the job, as in other cases, job nature, risks and severity of the risks should be assessed. Thermal safety gloves are used in low temperatures and in contact with hot and cold objects. This type of glove includes different sorts of gloves intended for work in different scopes of temperature and under different conditions: dry, humid or in the presence of chemicals. Laboratory safety gloves provide protection for workers and objects handled under close supervision and in confined spaces. Safety gloves used in the grocery business should keep the highest standards of hygiene and strictly stick to statutory requirements regarding contact with food. These are to be used in manufacturing, processing, distribution and gastronomy. Every day, construction workers perform activities in which their main tool are their hands. Whether it’s bricklayers, painters, carpenters, plumbers, ironworkers, or tilers, each profession requires a different type of hand protection. Bricklayers and plasterers need gloves with greater water and chemical resistance. Tilers and roofers need more cut resistance, and gloves for carpenters should allow for good fit and dexterity. Construction gloves should protect from liquids, offer good finger flexibility, protection from chemicals and while handling objects, good grip, high level of mechanical properties, long-lasting chemical protection, and shield from cuts. They should also provide protection for complex handling of objects in the presence of oily substances, highest comfort of long-lasting works in aggressive environment, thermal protection, comfort and sustainability for heavy works, and protection while handling heavy and sharp objects. Municipal services carry out such works as cleaning, catering, technical services, road maintenance etc. There is a large variety of choice when it comes to the hand protection equipment available on the market. This means that we can easily find protective gear that will suit even the most sophisticated expectations. There are not only safety gloves corresponding with a given job and its type of risk, but also the severity of the risk (e.g. gradations of cut or temperature resistance), assuring good fit and comfort during work. All this needs to be explained to the worker, as ultimately the final decision is left with the worker when it comes to whether or not safety gear is actually used, and used correctly at that. Experience shows that we often fail this challenge, with a large proportion of accidents being the result of workers not wearing the safety gear provided. Norms and regulations provide necessary information and assurance for employers; however, workers’ training in the use of PPE should focus on the benefits of PPE, and in this particular case, the use of safety gloves. It’s important that the benefits to performance, health and wellbeing are understood.